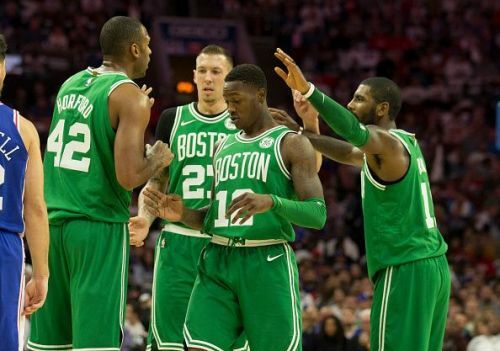 The Boston Celtics will visit Philadelphia for an Eastern Conference showdown with the Philadelphia 76ers. Right now, The Celtics are 5th in the Eastern Conference and the 76ers are 3rd in the East. The two teams are separated by 2.5 games with Indiana just 1.5 games behind Philly in 4th place. It would be basketball heaven if Boston finish 5th and Philadelphia slip to 4th place. It would set up a classic first round 2019 playoff matchup that would be sure to go 7 games. In the meantime, the Celtics are coming off of a 114-105 loss to the Denver Nuggets on Monday night in a match that secured Denver’s place in the Western Conference playoff picture. The Celtics' record is 43-28 and just .500 on the road at 17-17. The Celtics are 3-1 in their last 4 road games including a 33-point victory over the Golden State Warriors on March 5th, 2019. The Celtics clearly have the ability to beat any team in the NBA but they just have not risen to the expectations everyone has placed on them. Gordon Hayward missed Monday night’s game with a concussion and most likely will be unavailable Wednesday night. 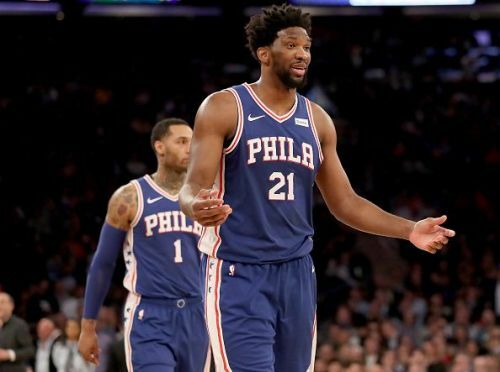 The Philadelphia 76ers, who are 45-25 overall, also hold a strong record at home at 28-9. They are 7-3 in their last 10 games and are currently on a 4-game winning streak. The 76ers are 4-2 in their last 6 home games. This includes a three-point loss to the Wizards and a 1-point loss to the Bulls. 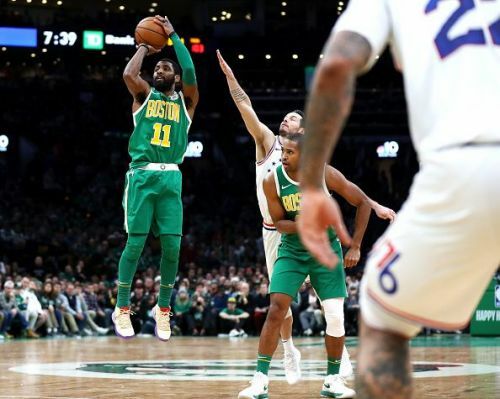 The last time Philadelphia hosted the Celtics, on February 12th, 2019, it was the Celtics walking away with a 112-109 victory. In that game, it was Gordon Hayward, Al Horford, and Jayson Tatum all scoring 20-plus points. The Celtics were also without Kyrie Irving. Philadelphia’s bench only contributed 22 points in that game. 76ers’ head coach Brett Brown will likely start G-Ben Simmons, G-J.J. Reddick, F-Tobias Harris, F-Jimmy Butler, and C-Joel Embiid. The home team, the Philadelphia 76ers. have a few flaws that could be tested in this game. The 76ers' bench scoring and depth could be a hindrance. In the February 12th, 2019 loss to the Celtics, the bench was quiet scoring-wise. On Sunday, March 17th, 2019, in a 5-point victory over the Milwaukee Bucks, the Philadelphia bench contributed just 24 points. Head coach Brett Brown also only used 4 substitutes for a total of 69 minutes. Only Mike Scott got off the bench for more than 20 minutes. The 76ers are as good as anyone but when examining their starters, their bench is another story. Philadelphia point guard Ben Simmons has two major flaws. His jump shot is one and his turnovers are another. As games become more important, opposing teams will lay off of Simmons, daring him to shoot rather than allowing him penetration and draw and kick opportunities. He almost never shoots the three and his overall field goal percentage of 56.4% is mostly built on runners, layups, dunks, and floaters. If he is forced to be a perimeter shooter, it means the opposition is taking shooting opportunities from Simmons’ teammates. This then feeds into his other significant flaw which is his turnovers at 3.6 per game. He is joined by Joel Embiid who averages 3.6 turnovers every game as well. In fact, it’s a team flaw at 15.5 turnovers per game, the 76ers rank 27th in the NBA in possessions thrown away. The Boston Celtics have not played great on the road with a record of 17-17 on the road. Unlike Philadelphia, the Celtics do have more depth. However, contractual and chemistry issues remain concerns for the Celtics. One factor that may help is the absence of Gordon Hayward, who is listed as day to day with a concussion. Head coach Brad Stevens may see better play out of his team without Hayward. It’s not that Hayward is a bad player but he needed this season to rediscover his stamina, endurance and get over any lingering psychological limitations from his horrendous injury that cost him last season. The Celtics could benefit in this game from Philadelphia’s turnover issues since the Celtics average 8.9 steals per game. There is also the fact the Celtics are 7th in the NBA, averaging 16.1 fast break points per game. If Boston can force Philadelphia into bad passes, they will make this game easy for themselves. This match could be a first round of the playoffs matchup but it’s a playoff matchup of two teams many expected to dominate the Eastern Conference. It also means a short playoff run for one or the other. For it to happen, Philadelphia have to relinquish the 3rd spot in the East to Indiana or Boston would need to slip to 6th overall. Either way, the more Boston and Philadelphia go to war, the easier the path to the NBA Finals gets for the Milwaukee Bucks and the Toronto Raptors. On Wednesday night, expect the Celtics to take a victory by 7 or fewer points.